Hidden within the walls of this ancient house of prayer is Ireland’s finest romantic organ – all 4,000 pipes of it! Come join us and listen as the Cathedral is filled with glorious sound whilst watching the performers on a giant screen in the nave. 4 concerts, 4 fabulous performers from home and abroad – 1 wondrous machine! 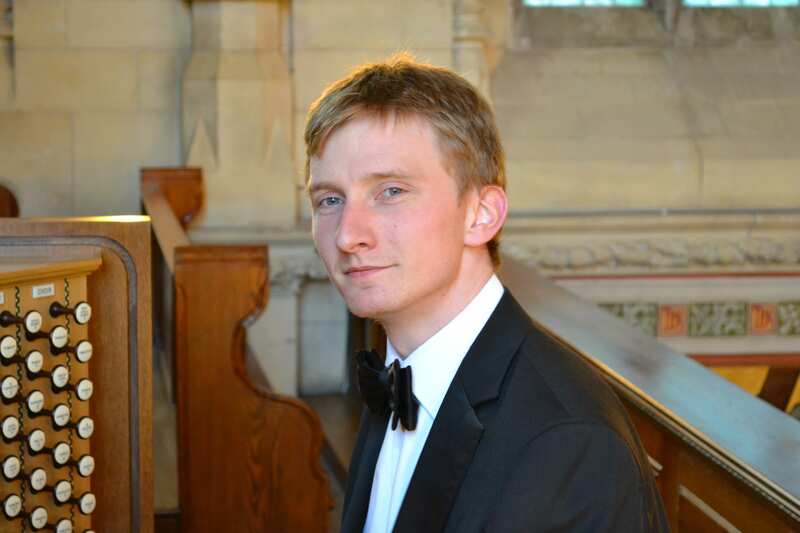 DAVID GREALY, a native of Galway, is Associate Organist at St. Mary’s Pro-Cathedral, Dublin, having previously held positions at Westminster Cathedral, St. Bartholomew’s Church, Dublin, and Galway Cathedral. In 2017 he completed a Masters in organ performance at the Hochschule für Musik und Tanz, Cologne, during which time he was also an organist in the church of St. Peter & Paul, Ratingen, where he studied improvisation with Ansgar Wallenhorst. He is also a first-class honours graduate of Maynooth University (2008), where he studied organ under Prof Gerard Gillen, and where currently works as a tutor. David is regular demand as an accompanist, both in Ireland and abroad, and in August 2018 was organist for the Papal Mass celebrated in the Phoenix Park, Dublin. Pre-booking essential – do it online for free via the link above.